Hellebores are probably my favourite winter flowering plant. Their large flowers come in a range of stunning colours and they look particularly good planted in groups. I had mine dotted all around the garden previously, but decided last year to move them and put them all together in my dampest and shadiest border in the garden. 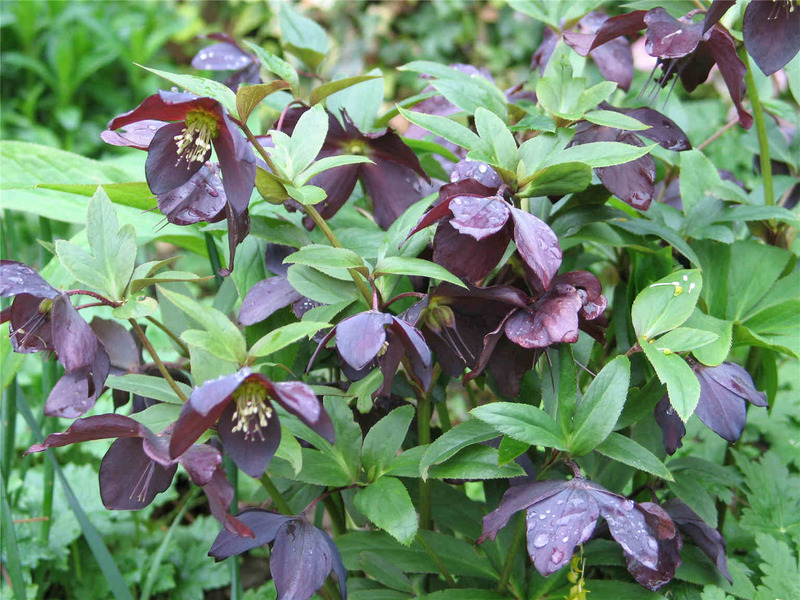 They like woodland conditions so are now thriving in their new spot, as you can see by the photo I took recently of Helleborus x hybridus ‘Harvington Shades of the Night’. If you take the time in January to cut back all the dead, old leaves to the ground you will display the flowerheads even more when they start to emerge.